The Calgary Creative Arts Ensemble is western Canada’s newest contemporary jazz orchestra. Co-led by drummer Jon McCaslin, trumpeter Andre Wickenheiser, trombonist Carsten Rubeling and saxophonist Mark DeJong, the CCAE brings together 17 of western Canada’s finest musicians to collaborate with local, national and international performers and composers. Chosen by Calgary 2012 to be included in the inaugural InvestYYC program, the CCAE brings exciting and dynamic new music to Calgary audiences. The CCAE concert programs have included works by renowned Canadian jazz icons Rob McConnell and Kenny Wheeler, as well as works by Michelle Gregoire, Paul Read, Ian MacDougall, David Braid, and members of the CCAE. The CCAE has performed with such notable guests as NewYork saxophonist Ralph Bowen, multiple Juno-award winning trumpeter Brad Turner, former Lincoln Centre Jazz Orchestra lead trumpeter Sean Jones, and multiple award winning saxophonist Eli Bennett. 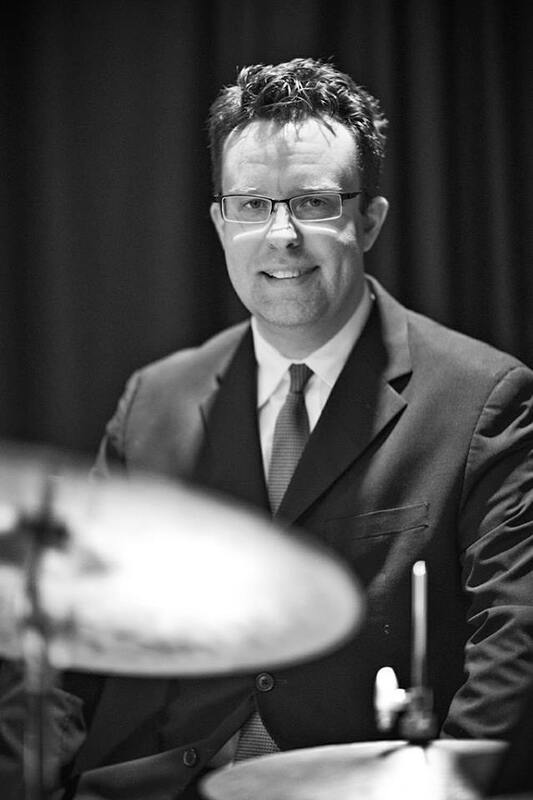 Rhythm section leader: Jon McCaslin is one of Western Canada’s leading jazz drummers and educators and brings excitement and passion for jazz to the bandstand. Raised in Regina, Saskatchewan Jon began playing the drums in the Regina Lions Band and the award winning jazz program, Campbell Collegiate. A graduate of McGill University McCaslin recently completed his Doctorate at the University of Toronto. Since 2009 he has authored “Four on the Floor”(www.jonmccaslinjazzdrummer.blogspot.com) one of the world’s most recognized on-line jazz drumming blogs. Based in Calgary, he released his WCMA nominated 2012 album “Sunalta” on the Cellar Live jazz record label featuring Brad Turner, Phil Dwyer, Tilden Webb and Jodi Proznick. 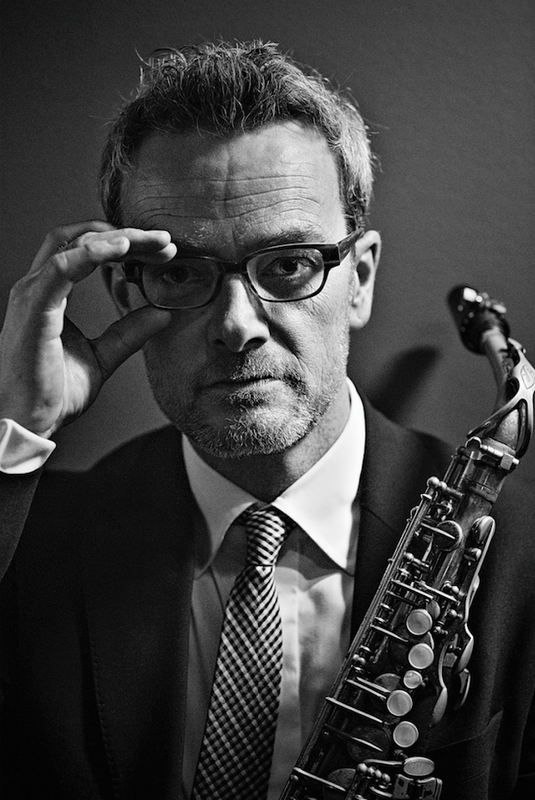 Saxophone section leader Mark DeJong is active as a performer, educator, composer and bandleader. A graduate of the University of Calgary, he holds a Masters in Jazz Studies from Rutgers University. He is a founding member of the New York-based group the Outer Bridge Ensemble with whom he made his debut at the famous Blue Note (NY) in 2014. He has opened for such luminaries as John Scofield, Christian McBride, Roy Hargrove, Medeski Martin and Wood, the Bad Plus and Kenny Werner. Marks’ WCMA-nominated cd “The Unknown” garnered praise from around the globe, while his most recent recording “Where Everything is Music” features Juno-winning pianist David Braid and renowned bassist and cellist Simon Fisk. 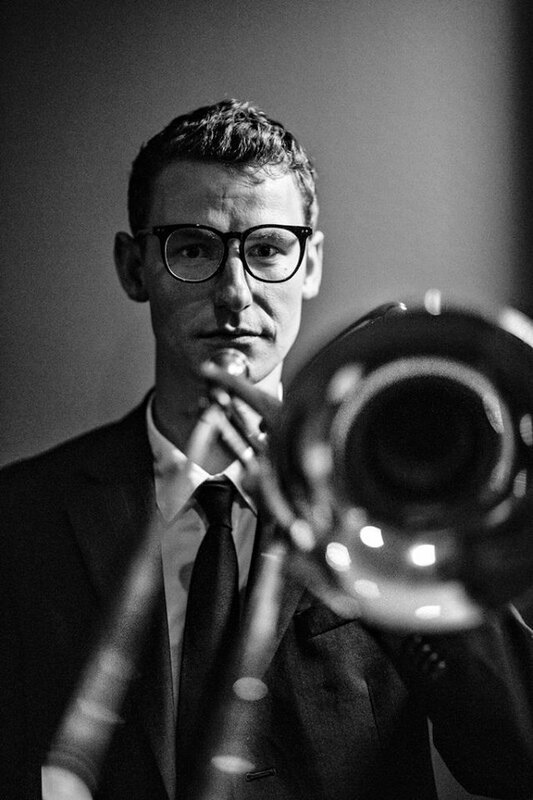 Trombone section leader Carsten Rubeling is originally from Rock Mountain House, Alberta and studied at Toronto’s Humber College under Alastair Kay and Pat LaBarbera. 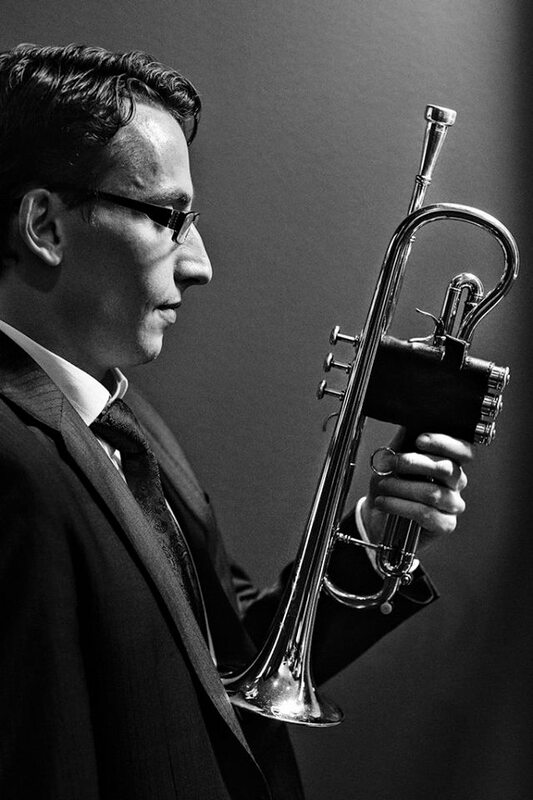 Carsten lived in Berlin for a period before returning to Alberta in2008 to take a position in the Jazz department at Calgary’s Mount Royal University. He has recently returned from New York, where he studied at the Aaron Copland School of Music, and received his M.A. in composition under the guidance of Michael Dease and Michael Philip Mossman. Carsten has shared the stage with prominent Canadian musicians such as Seamus Blake, David Braid, and Ingrid Jensen and has opened for Branford Marsalis, Christian McBride, and Dianne Reeves. Trumpet section leader Andre Wickenheiser began his musical studies at Mount Royal University where he completed and Artist Diploma in jazz performance. From there he went on to complete both a Bachelors and Masters Degree in jazz performance at McGill University where he was fortunate to study and perform with many of the best jazz musicians in North America, including Slide Hampton, Joe Labarbera, Brad Turner, Frank Mantooth, Campbell Ryga and many others. He now resides in Calgary where he leads his own jazz group that performs his original compositions, and is active as a performer, educator and freelance musician.